They'll make your house smell amazing. You could glue the sticks around a can for extra sturdiness. 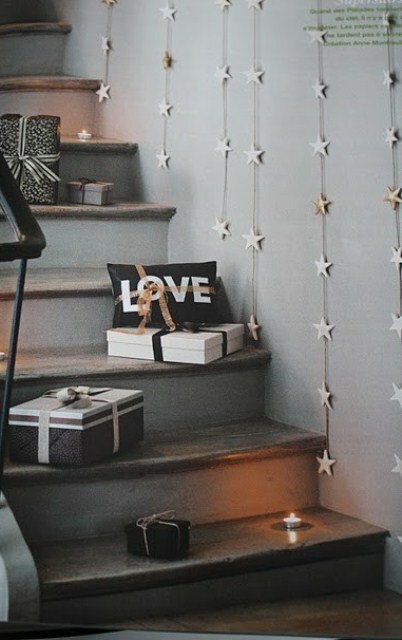 The tiny starry lights are from Restoration Hardware. Shape into hearts, letters, or whatever you'd like. 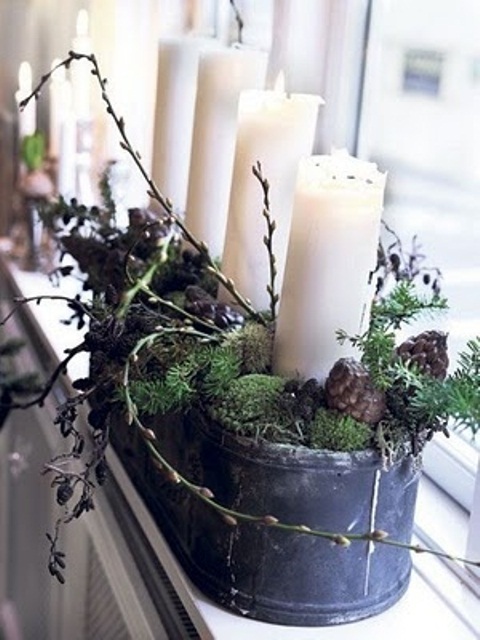 Simply spray-paint a wreath of dried branches. For an added touch, hang a felt pillow or a pinecone in the center. For the holidays, you can still hang ornaments on them. 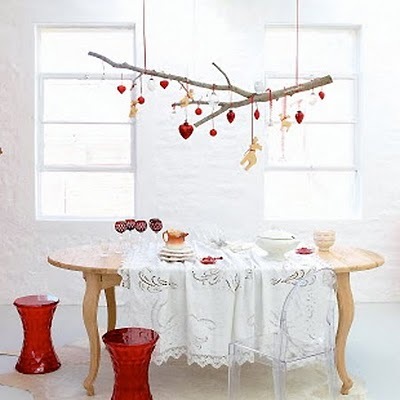 Hang on a branch to make a winter mobile. This vase was made using paper printed from a free template. These can totally be repurposed after the holidays. These could easily be reused for a New Year's party. These can be hung from a canopy bed year-round. You can shape them to resemble small Christmas trees. These are modern and sleek enough to be kept out year-round. Get the full directions here. For the holidays, hang Christmas ornaments. But you could also wrap string lights around it for a makeshift chandelier. Or hang pretty colorful decorations for a birthday party. Use them at Thanksgiving, Christmas, and New Year's! Spray-paint leaves and attach wires to the stems. Add them to a Christmas tree or to a house plant. These could also pass as faux cotton when hung from dried branches. Directions are here. These could double as New Year's or birthday party decorations. These votives work for pretty much any party situation. These are created from a mirror-like spray paint. Depending on how you decorate them, you could keep them around all year. This wreath could work for fall or summer too. Get the tutorial here. The cool thing about making this is that you can reuse the pom-poms for a cute pillow after the holidays. Find the instructions and printable here. Sprinkle some balsam-scented essential oil over the wood. 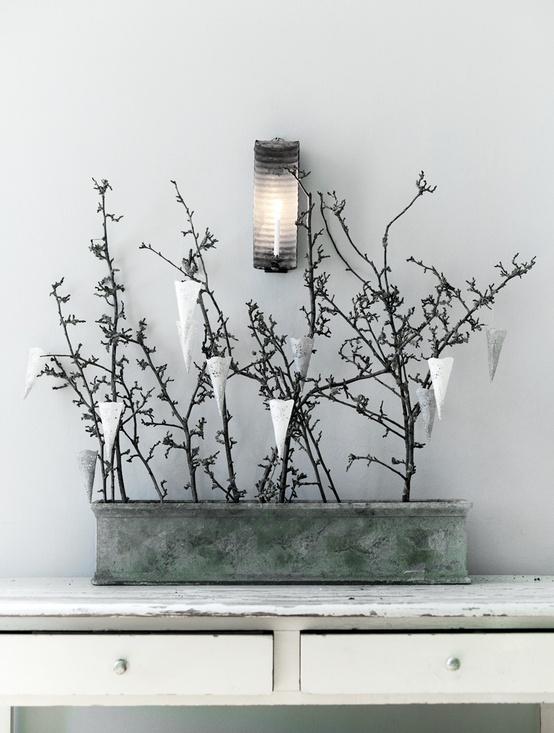 Himmelis are a traditional Finnish Chistmas decoration, but they actually kind of look like cool prisms or diamonds. Get the directions here, but there are also many cool himmeli options for purchase on Etsy. Change out the ribbon depending on the holiday. Choose a nice shade of green and you can use these for any occasion. These could be used for any holiday, depending on what you want to put in the glasses. Use them when making mulled wine.